Rome: A little-known law professor, put forward by the anti-establishment 5-Star Movement and far-right League as their prime ministerial candidate, was accused on Tuesday of inflating his international academic credentials. 5-Star dismissed the suggestion, but the row added to doubts about whether Giuseppe Conte, a political novice, was the right person to head a planned coalition government that has spooked financial markets and the European Union. 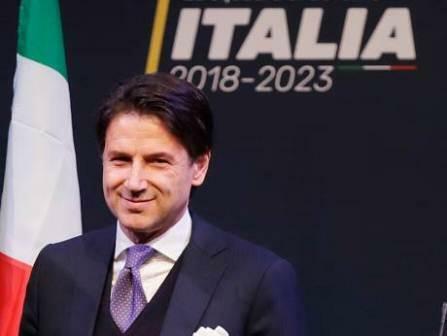 The League and 5-Star asked President Sergio Mattarella on Monday to appoint Conte to lead their mooted administration. Instead of endorsing their choice immediately, the head of state played for time, seeking further consultations. In the meantime, questions have been raised about various details put forward by Conte, who says he “perfected his judicial studies” at numerous foreign institutions, including Cambridge University, New York University and Paris’s Sorbonne. The New York Times newspaper quoted an NYU spokeswoman as saying: “A person by that name does not show up in any of our records as either a student or faculty member.” She added he might have attended one- or two-day programmes, for which there were no records. In one curriculum vitae posted on the parliament website, Conte says he studied at NYU every year from 2008 to 2012 “for periods of not less than a month”. Conte himself made no comment, but 5-Star issued a statement saying he had never claimed to have followed any specific course or to have received a master’s degree from the university. “Conte, like any researcher, went abroad to study, to deepen his knowledge, to perfect his English legal language skills,” the party said. “So the international press and the Italian press are going wild over presumed qualifications that Conte has never claimed to have.” MARKETS PAUSE Cambridge University declined to comment on whether Conte had studied there, as he claimed, in September 2001 — a month when the university is normally closed for the summer break. A university source said they had not found any trace of a visit, but said the professor might have attended a course prepared by a third party. The Sorbonne said it was reviewing its records to see what research Conte might have carried out. As Mattarella took time to make his decision, Italian markets paused after six days of heavy selling sparked by concerns a League/5-Star government might undermine the heavily indebted economy with its plans for a spending splurge. Italian 10-year yields have risen nearly 70 basis points since the start of the month, while the cost of insuring against Italian government debt was at its highest in 7 months. “Conte looks rather like a puppet for the 5-star and League leaders to push through their agenda,” said Commerzbank strategist Christoph Rieger. Conte, 54, has taught law across Italy and has a full professorship in Florence. He does not have a PhD or a Master’s degree, but has contributed to dozens of legal publications. Italian newspapers said on Tuesday he was close to the Vatican Church and a devotee of Padre Pio, a mystic monk who is said to have wrestled with the Devil. There was no immediate word on when Mattarella might make his next move.